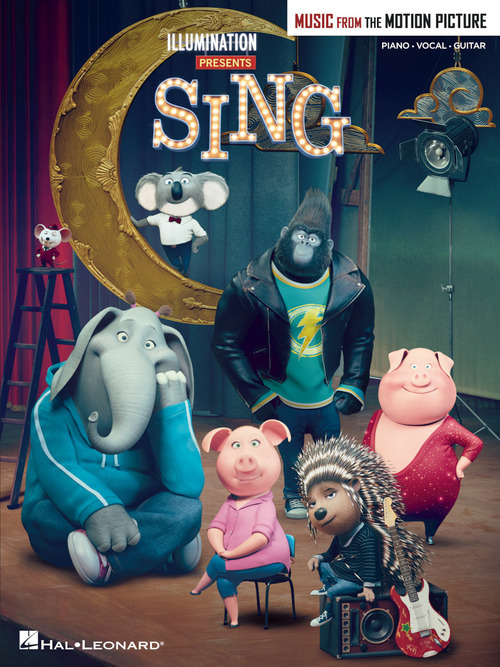 16 songs from the original motion picture soundtrack to this 2016 Illumination animated film featuring familiar classic songs, plus the original song “Faith” performed by Stevie Wonder and Ariana Grande, are included in this collection for piano, voice and guitar. Other songs include: Don't You Worry 'Bout a Thing • Gimme Some Lovin' • Hallelujah • I'm Still Standing • Let's Face the Music and Dance • My Way • Shake It Off • Under Pressure • Venus • and more. Includes 8 pages of color photos from the film.